WARNING! Some "House-Buying" Tactics May NOT Be For You! people who use some of the approaches below. However, we do NOT use these approaches nor do we promote them. We feel that they are potentially far more risky for the home owner. the way you, your friends and relatives, purchased their homes in the first place! buy it in a non-traditional ("creative") manner. after they re-sell the house, are just some examples of these "creative", non-traditional methods. There are many more. answer (such as - they have other investors who give them the money, etc.). estate "gurus", get-rich-in-real-estate seminars and "boot camps", etc. 4. Some may say they will buy any house, buy houses without any equity and pay the highest full retail prices for houses. Encouraging you to file bankruptcy; or use some other "creative" / non-traditional approach which will not sound or feel familiar to you. BE CAREFUL! These pitches that sound almost too good to be true, may NOT be for you! In some cases you'll be asked to pay very high fees up front, or make high monthly payments with interest rates even higher than your current loan. You may only just end up delaying the foreclosure - wind up dealing with it again at a later date, and having to face it with less cash in your pocket - because you paid your valuable cash in fees to the person who was "helping you". So you end up losing BOTH your house AND the extra cash you paid to the person or company that was going to save your home and help you. If you gave the deed to your house to this person, you may still be responsible for making the payments! Filing bankruptcy may seem like the easiest and fastest way to stop the auction. It may be. BUT - bankruptcy can have its possible drawbacks as well. It is clearly a negative mark on the credit record which lasts for years. And, if a foreclosure can be stopped WITHOUT having to file bankruptcy, why not consider that option first? Don't be pressured into filing bankruptcy. We are not attorneys. This is not legal advice. However, as we all know, no matter how good something sounds, nothing is perfect - almost everything has both pros and cons. shouldn't you be somewhat careful??? your income and expenses will REALLY be - then decide if these approaches which are being sold to you, are in YOUR best interests. Some may be so inexperienced, unskilled or unethical that they must copy or mimic the work of others. We wrote a strong newspaper ad, someone copied it (almost word for word) and by the way, he was caught and stopped dead in his tracks! We were the FIRST of our kind to be on a specific regional home sale website, then we were followed by at least 6 other companies. We were the FIRST of our kind in our area to be members of the On-Line Better Business Bureau and the FIRST to be local BBB members, in using this on our ads and websites, then we were, once again, followed by other local companies who started using the BBB as well. We are honest and ethical and described ourselves as such in local ads - once again, a "newbie" to this business mimicked us. We were one of the first (if not "the" first) in our area with our own, well-presented website. "Others" either had no website or one of poor quality. After they saw our website, they either came up with one or made their low-level website better, again following our lead, unable to generate the ideas on their own. We found companies who copied our phrases and content from our website. We pursued them immediately and stopped them. People who mimic the ideas of others are likely just as incapable of solving your very important cash and real estate issues. Performing successful real estate transactions and assisting people with their problems requires, in our opinion, a meaningful level of intelligence, creativity, financial skills and solid ethics - a real sense of right and wrong. The people who attempt to copy our phrases and other aspects of our approach (how and where we advertise, how we structure our literature and website, etc.) are simply proving to us and everyone else that they are lacking in some very important areas - ethics, creativity and even a basic sense of right and wrong. and we work closely with our Attorneys to maintain our strategies. The bottom line is that these people who copy the hard work of others, are in our opinion, thieves - and cannot be trusted. Why work with someone with this clear lack of values when you are considering something as important as selling your home? afraid to ask direct questions! the property, the mortgage or you? If not, why not??? You led me to believe that you can "buy" my house! show me current bank statements, in your name, that would be used to buy. 4. If you do not actually have the cash to buy, why not? Ask this question ESPECIALLY if his ad uses the word "cash" anywhere! be assured that they have the cash? How can I be assured that they will fund the transaction? have you applied to and which rejected you - and why??? simple, traditional & clean transaction where I sell my house & I get paid in full? two years? What proof can you offer? 9. Describe the sources and extent of your formal education and training. 10. How many houses have you bought where you actually wrote a check for the purchase price? A. Have you ever filed bankruptcy? When and why? B. Have you ever been arrested or incarcerated? If so, for what charges? C. Have you ever had a dissatisfied Customer take some action against you, including filing a lien against you? Details please. D. Have you ever been sued by a Customer? Please provide the details. E. If you are licensed, have you ever had your license revoked or suspended? Under what circumstances? 12. What proof can you offer me that should cause me to trust you? 13. Do you mind if I speak with other investors before I sign with you? If you mind, why? me the complete truth then you should have nothing to worry about. Right? REALLY THE RIGHT THING TO DO - BEFORE YOU SIGN! successfully close, at the right price and meet your needs. *** AND - try your best to CHECK UP ON THEM AND VERIFY what they are telling you. questions. Make sure you spot them for who they are and dismiss them! slick and excellent at telling people just what they want to hear. and KEEP TESTING - until you are satisfied. Read at least the "About Us", "Compare" and "Our Founder" sections of our website. The information above and throughout our website and literature, is our opinion, not our advice. Others who buy houses will have their opinion as well and may try to disagree or tell you our opinions here are wrong. No problem. In some cases, some others may slam our opinions simply out of the fear that they won't get your business. As is the case with every field or occupation, there will be people who are great performers, mediocre performers and poor performers. should or should not work with someone, our Company included. Compare your options and make the best decisions you can. AND ALWAYS consider seeking the guidance of a qualified attorney prior to signing any document. She knew she had no equity in her home, yet the "investor" still wanted to "buy it" She knew there was something wrong. mean the deal will go through as one expects or as promised. 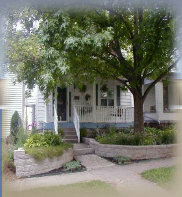 This person put his house under contract with a franchisee of a national "home buying" comany, advertising on the Web. Get-Rich-Quick TV "no Money Down" We Buy Houses real Estate Infomercials. Other People Will Try To Get Rich While They Put The Home Owner At GREAT RISK. Why? Because the person trying to "buy" your home using these techniques does NOT USE ANY OF HIS OWN MONEY. "We didn't have any money or credit. No one would help. So I bought his course and within 2 weeks I bought a property with no money down." "My course shows you how to invest in real estate without any money. Not one dime....You just can't lose...!" "But I won't do that!" " I Had One Investor Who Wanted To Exchange My House For One That Wasn't Even Theirs!" About A <?xml:namespace prefix = "st1" ns = "urn:schemas-microsoft-com:office:smarttags" />Florida "Investor"